CD,s and additional parts inside will be damaged. for possible defects that need to be addressed. Flat Rate repair for a complete overhaul / refurbishing is $399.95 parts and labor plus return shipping and handling. Flat Rate without CD mechanism service is $299.95 parts and labor plus return shipping and handling. Every Bose we receive is inspected and checked for current revisions and upgrades. Prices above include any revisions and upgrades. Equipment is fully aligned, checked and tested after repair to ensure original factory performance. Tips to keep your Model 20 in good operating condition. 1. Clean both sides of your CD's before inserting in the 6 disc cartridge. 2. Do dot use the "Random" play mode. This causes excessive wear on the CD mechanism. 3. Do dot use "stick on" labels on your CD's. Labels get stuck inside causing jamming and broken parts. 4. Remove CD's from cartridge before shipping (if possible). CD's will fall out of the cartridge while inside. 5. Do not blow out dust with compressed air. Dust will stick to oil and grease causing instant problems. 6. Do not let a service shop work on your unit if they are not fully experienced with past repairs of a Model 20.
poor performance or may damage internal electronic components. Separate AM and FM antennas are required for radio reception. 12 volt power is AC not DC. The correct Bose adaptor is model PS71. The PS51 adaptors are underrated and will overheat and fail. Speaker zones require special Bose cables that are connected to Bose Accoustimass modules. 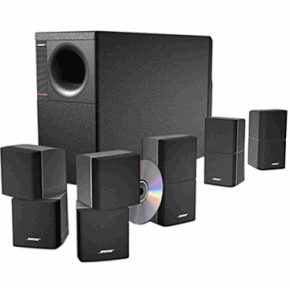 Surround sound processing occurs in the Acoustimass module. Aux & Video 1 & Video 2 inputs are standard line level audio inputs. RF/EMI interference with CD changer operation. 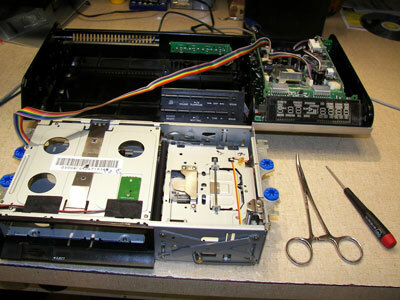 The CD changer may not operate properly when placed on top of or near other electronic equipment. There is no internal shielding to prevent interference. Solution: place a grounded shield between the Model 20 and other equipment or move Model 20 to a different location. parts by a qualified service technician. My Lifestyle system appears to be dead, which unit is bad? Often times the display on the Model 20 will go blank even though the system is powering up. If this is the case then audio would still come through the speakers when a radio station is tuned in or if a CD is playing, assuming the CD section is working ok. Also make sure to turn up the volume during these tests. These steps can be difficult to determine since the display is not lighting up. If sound comes through ok then the Model 20 has defective display circuits and can be sent in for repair. Perform the following to determine the condition of your Model 20 with a blank display. Verify the power adaptor is a Bose model PS71. If it is not, then get one. Un-plug the power cord from the wall or on back of the Model 20. Connect a set of headphones to the headphone jack on the right side of the Model 20. Plug power adaptor in. If you here a single "pop" sound in the headphones then to Model 20 is getting power. If no pop is heard then the power adaptor is probably defective. The power adaptor can be tested with an AC voltmeter. It should read 14 to 15 volts AC. Be sure to set the voltmeter to the AC range, not DC. The power adaptors are very reliable and seldom go bad. DC output adaptors will not work! 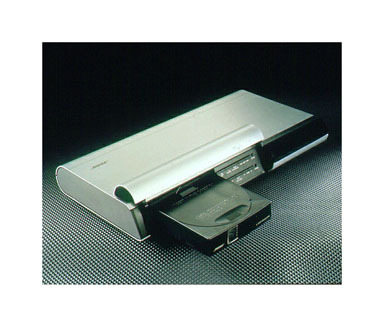 As a backup test to using headphones, you can load an empty CD cartridge into the Model 20. You will here the CD mechanism try to load each of the 6 slots then stop. Press the ON/OFF button on the Model 20. If the power adaptor is ok, the Model 20 will come on in the FM radio mode so you should here static in the headphones and be able to tune in radio stations. Be sure to connect an FM antenna and turn up the volume. Insert a loaded CD cartridge and press the “source select” button 6 times. 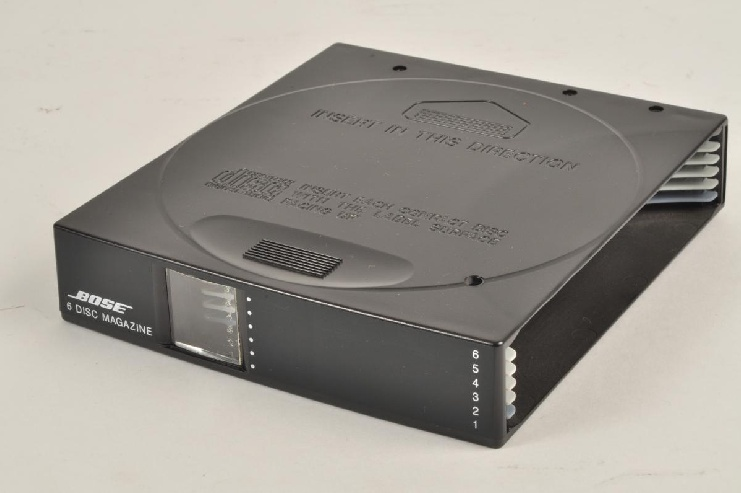 This will put the Model 20 in the CD mode and should start playing the first CD. If the Model 20 makes the loading sound on each of the 6 CD’s but no sound is heard thru the headphones then the CD mechanism is defective. CD cartridge randomly gets stuck while ejecting. There are many reasons why this occurs. If your unit has not been serviced correctly in the past 5 years or more then the time is now. A full overhaul will address several problem areas. Several electronic and mechanical components need to be upgraded for increased reliability. Cleaning, lubrication and alignment are needed for proper operation. Don't use the rigid Styrofoam to ship your unit. This material is to rigid and does not provide adequate cushioning to protect internal mechanism.